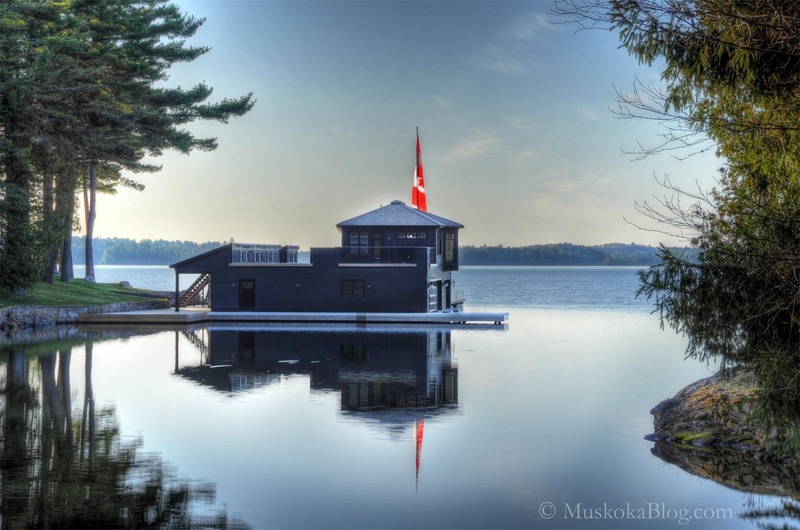 Home to some of top Muskoka luxury resorts and hotels – including historic Windermere House and the comparatively new JW Marriott The Rosseau Muskoka Resort and Spa – Lake Rosseau has long been one of cottage country’s most celebrated addresses. It’s here that countless celebrities from across the globe congregate each summer, spending time in sprawling luxury cottages while kicking back and enjoying the peace, tranquility, natural setting… and anonymity (yes, Canadians are known and respected for their unflappability when it comes to the rich and famous). Whether they’ve bought their luxury Lake Rosseau cottage or are using the services of a cottage rental company, or possibly even using the services of a local realtor to help them find the best Muskoka real estate, Lake Rosseau offers no end of fun things to do. Cottagers and visitors alike enjoy getting in some boating or fishing during a day-trip, or heading over to picturesque Port Carling. Dubbed ‘the hub of the lakes’ – it’s here that Lake Muskokameets Lake Rosseau and (almost) Lake Joseph – Port Carling is as busy as the Hamptons on a weekend with people shopping or heading to a cool bar or a top Muskoka restaurant. Let Luxury Muskoka be your guide to all that’s fun on Lake Rosseau.